Our mission is to elevate the integrity of the medical diagnostic testing system by providing rigorous, objective, third-party evaluation according to international standards. The entire healthcare system rests on the shoulder of diagnostic testing. When the diagnostic testing system is compromised, it has a negative impact on the whole healthcare system — destroying people’s confidence in the system. IQMH’s vision is to be the Standard for Confidence, within the international medical diagnostic testing community, through our three Centres of Excellence: Accreditation, Proficiency Testing, and Education. 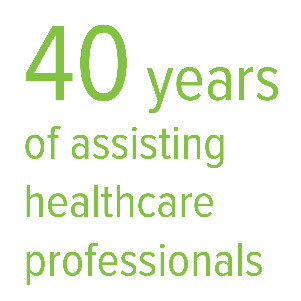 We started out in 1974 as a proficiency testing program, known as the Laboratory Proficiency Testing Program (LPTP), a department of the Ontario Medical Association (OMA). In the early 1990s, the Ontario government-funded Laboratory Services Review (1992–1994) recommended that a full “quality improvement program” be implemented to integrate proficiency testing and accreditation. In September 2000 the Ontario government funded the integrated quality management program, with the goal of developing and implementing an accreditation model for all medical labs over a five-year period. The integrated program was developed and implemented within three years, well ahead of the projected five-year period, and the Quality Management Program—Laboratory Services (QMP–LS) was born. This mandated program, which is responsible for assessing quality and competence of all licensed Ontario labs, is funded by the Ontario Ministry of Health and Long-Term Care (MOHLTC). Over the years, we have expanded our services to organizations outside of Ontario and Canada, thus in 2009, the Institute for Quality Management in Healthcare was formed. IQMH is a not-for-profit corporation, without share capital, incorporated under the Ontario Corporations Act and a subsidiary of the Ontario Medical Association.